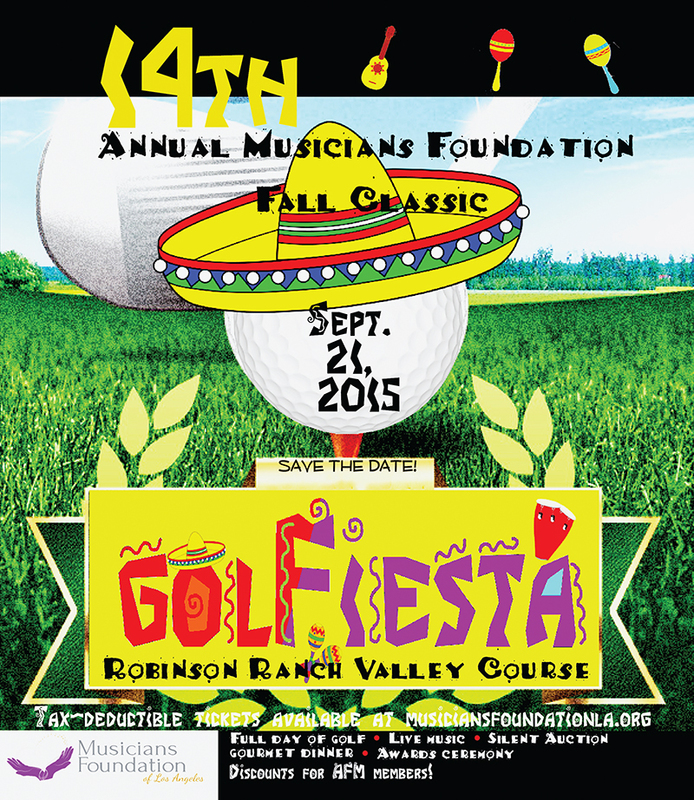 Get ready for a GOLF FIESTA at the 14th Annual Musicians Foundation Fall Classic! Enjoy a full day of unparalleled golf on the lush Valley Course at Robinson Ranch in Santa Clarita, full food and bar service all day and into the night, silent auction and raffle drawings, and rhythmic Latin jazz and more played by the best musicians in the world: AFM Local 47 members! All proceeds benefit the Musicians Foundation of Los Angeles, a nonprofit assistance fund that provides a resource to help cover daily living and household expenses when musicians are in financial distress and cannot work due to a sudden illness or injury. The Foundation also sponsors free live music events throughout Los Angeles. This fun-filled event is an opportunity for the entertainment industry and the entire community to support local artists. A generous donation of cash and/or prizes would be greatly appreciated. Your participation in the golf tournament helps musicians in need and strengthens our endowment for assistance. All AFM members in good standing qualify for a discount on tournament fees. Your attendance at this event not only aides musicians in need, it’s a guaranteed good time! For more information and to register or make a donation, call 661.252.8484.